A person has opened hearth in a factory within the russian capital moscow, killing at the least one individual, with reviews linking the incident to a commercial enterprise dispute. The suspect is the confectionery manufacturing facility's former owner who claimed the business turned into wrongly taken from him, nearby media say. The victim has been identified as the manufacturing facility's safety defend. Two other people had been reportedly injured. Police are still trying to find the suspect. 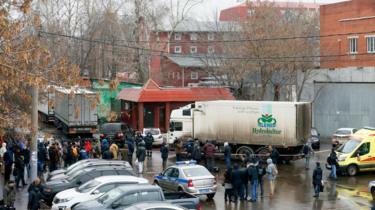 The region across the menshevik plant in south-eastern moscow has been cordoned off.